GIFT IDEAS - BABY SHOWERS: Unique Satin Trim Baby Blanket : 36"X46"
Unique Satin Trim Baby Blanket : 36"X46"
Unique, Personalized & Custom Gift Ideas for Baby Showers > Unique Satin Trim Baby Blanket : 36"X46"
At 36"X46" it speaks softly with lots of loving tender care. 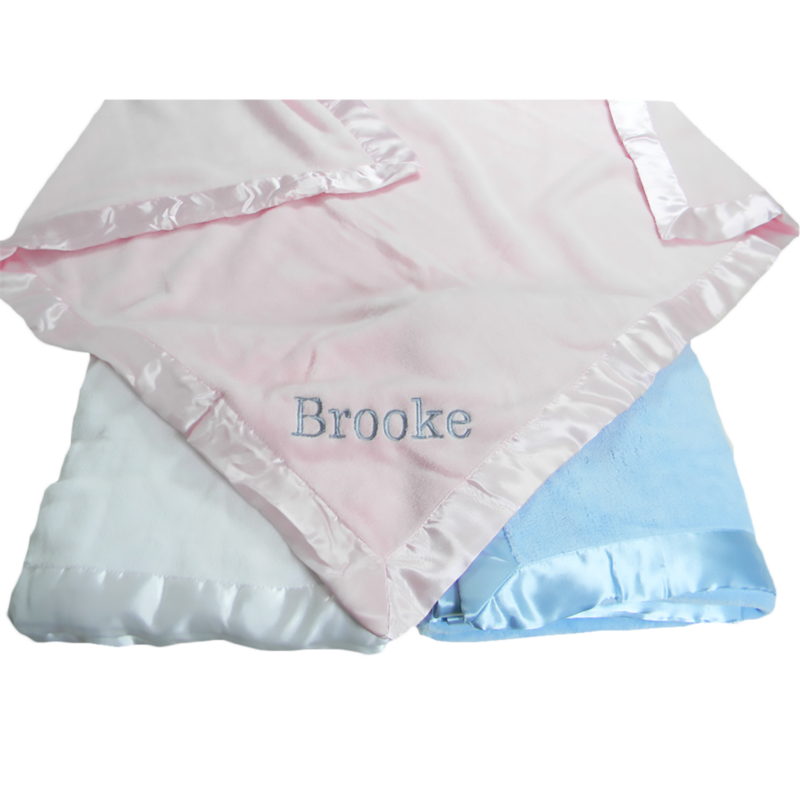 This blanket will provide baby with warmth and and maximum comfort. Put a custom MONOGRAM on it and take it with you to the baby shower.